Hell has an address and it’s in Gary, Indiana. Demon House the new documentary from Zak Bagans of the hit series Ghost Adventures dares to take viewers into Gary’s most infamous house. 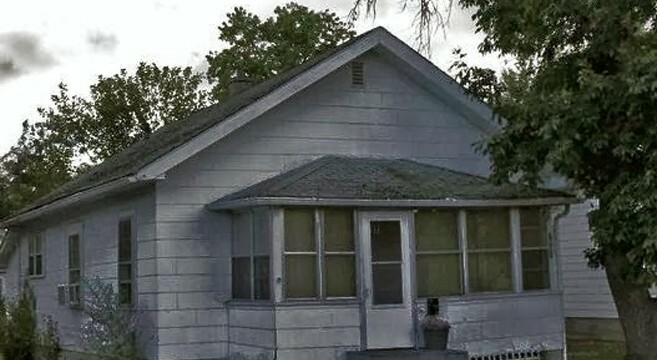 In 2014 a story appeared in the Indianapolis Star, detailing the story of Latoya Ammons and her family and the ordeal they faced while living in the house. According to IndyStar Ammons and her family moved into the house in November of 2011. Ammons reported the activity began with the sudden appearance of flies. While this does not seem out of the ordinary, what was curious was the fact the flies swarmed her screened in porch in the middle of December. Ammon’s mother claims that no matter what they did, the flies returned. Other malevolent occurrences began happening to the family shortly after. Loud footsteps were heard climbing the stairs and the door leading into the kitchen from the basement could be heard opening and closing. According to Ammons, even when the basement door was locked and the area checked, the sounds could still be heard. Rosa Campbell who is Ammon’s mother also recounts waking up in the middle of the night and observed a figure, thought to be a man, pacing the living room. When Campbell went to investigate, the man was gone but he left behind wet footprints on the floor. Campbell and Ammon’s claim that on March 10th, 2012, they witnessed one of Ammon’s daughters levitating above her bed in what appeared to be an unconscious state. After Ammons and her mother prayed over the girl, she eventually descended and awoke with no memory of what had occurred. Ammons says she reached out to several churches regarding the activity. Most refused to help. Finally Ammons and Campbell were able to get an unspecified church to listen and even visit the house. The church told Ammons that her house had a presence and suggested performing a cleansing of the home. The cleansing consisted of cleaning with bleach and ammonia and drawing crosses on every window and door. According to Ammons, the family reached out to several psychics as well. One of the psychics told her that the house was inhabited by over 200 demons. The psychic also told her that the best course of action would be to pack up and move. After the cleansing, the activity seemed to subside. For a whole 3 days. Thereafter, all hell broke loose. Ammons claims not only she but also her three children became possessed by the demons in the house. According to reports, when the children were under demonic influence their voices would change, their eyes bulged and they were afflicted with evil smiles. What makes this story so compelling is that some of this demonic phenomena was witnessed by credible witnesses. One such witness is Valerie Washington. Washington who worked for the Department of Children’s Services was contacted to open an investigation into the Ammons family. Speculation abounded that Ammons’ suffered from mental health issues and was making her children act to fit her delusions. Washington reported that 2 of the children were taken into a hospital treatment room for an interview. The youngest of the children began snarling at the other sibling and told them “It was time to die” and attempted to choke the child. You can read the official report here. Washington then stated she and a nurse witnessed one of the children walk backwards up a wall to the ceiling. The boy then front flipped and landed on his feet in front of his grandmother. The Gary Police Department also wrote a report about the incident. They asked Washington if the child could have possibly run up the wall. Washington replied that he “glided backward on the floor, wall and ceiling.” She was also quoted in the police report saying she believed there was the possibility of “evil influence” besieging the family. These are just a handful of the accounts of the terror experienced in the home. When the story was first reported it began picking up traction and made national and even international news. Enter Zak Bagans. According to the new film Demon House, Bagans bought the home sight unseen over the telephone. He then set out with his documentary crew to investigate what exactly was happening in Gary. Demon House is an amazingly well put together film. It is as fascinating as it is terrifying. The crew and Bagans interview several credible witnesses. They include high ranking local law enforcement and even previous tenants at the house who experienced activity just like Ammons. Bagans unfortunately is not able to interview Ammons as she refuses to speak to him about her experiences. Demon House works very well. It is not your run-of-the-mill paranormal investigation documentary. Bagans is able to build suspense and tension that you could cut with a knife. Several times while watching this film I began to feel uneasy but couldn’t tear myself away from what I was watching unfold. I would highly recommend this film to anyone who has even a feigning interest in this case. It is well put together and informative along with terrifying. If you have the opportunity to see Demon House I would strongly suggest doing so. You can check it out in select theaters and via VOD beginning March 16th. Ghost Adventures Returns For Tenth Season! Ghost Adventures Loses a Member!